With 359 essay submissions and 96 school districts represented, it all came down to ten winning finalists. 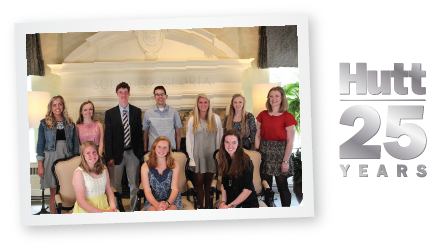 On May 6, these exemplary high school seniors gathered at the Cascade Country Club for a luncheon and presentation event held in their honor. Each of our ten winners received a $2,000 scholarship to be used toward their future educational plans. Congratulations! Pictured back row, L to R: Josie Barr, Leah Bectel, Collin Green, Jordan Moreau, Brittany Hayes, Lauren Williams and Emily Pool. Seated, L to R: Christine Dood, Kyra Fitz and Keara Parker.